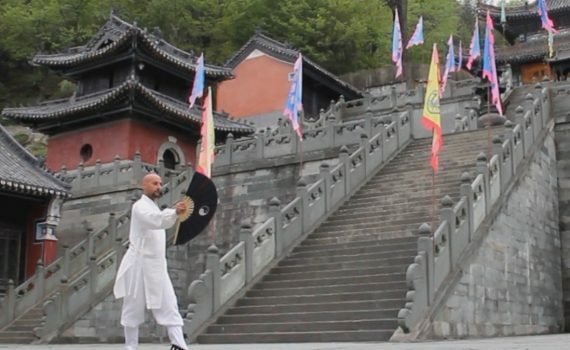 The Fan of Heaven and Earth Wudang or Wudang Qian Kun Taiyi Shan It is a form of Taiji, as the name suggests, It is performed with a fan. Circularity of their movements and the beauty of their positions, They combine perfectly with the existing martiality in all forms of Taiji. All participants in this course, They will be presented with a fan, and a certificate of attendance at the end of the course. 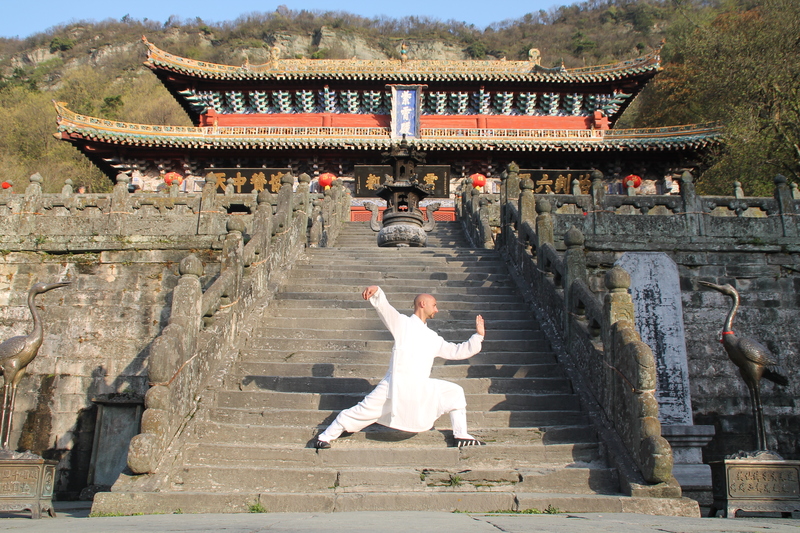 This course will be conducted by Iván Trujillo, profesor de Taichi de Wudang. If you're interested in this course, do not hesitate to ask for more information info@alquimiainterna.com or telephone 661.290.940. The Sports Service the City of Terrace between the months of April and June, sports program called “Move you win!” in which it is included the Qigong / Chikung. The paper found below, You find all the activities carried out in this program, and their days and hours. These practices Qigong, they are open to everyone, Torrent is performed in the Witches of Terrace Park Vallparadís, and they will be led by the Internal Alchemy Instructor, Ivan Trujillo. 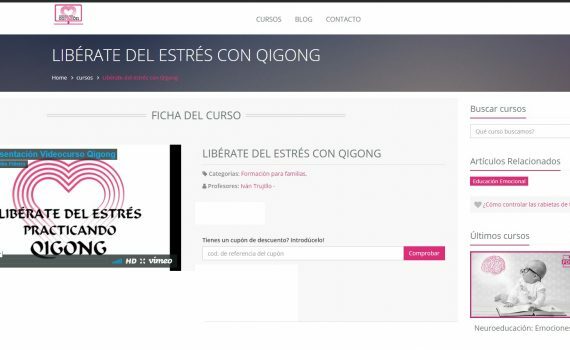 We are pleased to announce the publication of our first course Qigong totalmente On-Line. Since the link below, You can access the course “Stress free yourself with Qigong”, in which Ivan Trujillo He collaborated with Heart school. As a special introductory offer, and LIMITED TIME, It offers a 30% discount on the price indicated. To enjoy this discount, has been introduced “alquimiainterna30” in the place where you take the link below. We hope you enjoy it and find it useful. Sun Si Miao was a renowned Chinese doctor and pharmacist V century researched and developed a therapeutic system based on phonation 6 silabas: Shi, And, The, Zz, Chuei y Si, whose wave frequencies, create a resonance that manages to balance the vital energy or Qi of each internal organ and therefore each functional area physical, emotional and mental. Dr. Sun Si Miao synthesized information from sources Vedic, Buddhists and Taoists, depth known in Ayurvedic medicine and traditional Chinese medicine theory and adopted all found it interesting. He pays much attention to alchemy, to which he devoted an entire work, therefore he sought immortality. Also, He believed in astrology and magic and spells formulated in Sanskrit language. It also adopted techniques of shamanic tradition of Northern China. He rejected the post of personal physician of the emperor to devote himself to research its creation gave a surprising result: a series of 6 sounds that manage to balance our energy system. low volume to match the Shen "Mind"
Average volume to harmonize the Qi "Vital Energy – internal organs"
high volume to match the Jing "Body"
His creation to General Yue Fei is attributed, Song Dynasty. It is said that this system entered his army until now become a popular classic inside and outside China, a health system and quality of life since the movements activate energy meridians system and act on internal organs, promoting physical balance, emotional and mental. It also promotes energy flow through the upper and lower extremities of the body. It is a very effective routine and highly beneficial. Hua Tuo, Taoist physician of the second century, It was mainly inspired by the driving qualities and behavior of five animals: the tiger, the deer, Bear, the monkey and the bird, and he created on the basis of their knowledge of Traditional Chinese Medicine and Qigong, a series of exercises that mimic these animals and that correspond to each of the 5 internal organs, and therefore with every emotional and mental physical functional area. A curious and while logical aspect of Eastern society, It is that the Chinese people paid a fee to the doctor, as long as they remain in a healthy state, however, when stopped falling sick pay since they could no longer work. It is for this reason that the study of disease prevention is thriving and premium on the appearance of healing. The opposite happens in the West. As Dr.. Hua Tuo preached Example, He lived to 102 years old. Tibetan series of physical exercises for physical, emotional and mental wellbeing. Lu Jong meaning "Body Workout" reflects the knowledge that the great masters collected from nature and its five elements: water, land, fire, wind and space, and follow the foundations of traditional Tibetan medicine, which explains the three components of vital energy or moods: Lung, Tripa and Bekken, meridians or energy channels main: An, Rome and Kyandma, Genesis body o 7 constituents and energy fields or nodes where channels converge. Tibetan exercises series Lujong balances the body and mind. These exercises are very easy to learn and execute, while very effective in maintaining healthy and balanced body and help open the energy channels and harmonize the three energies and the five elements. Also undo the knots or small farms, strengthen the internal organs, more flexible spine. They are indicated to improve arthritis problems, fluid retention, colds and other diseases. Mentally bring peace and facilitate the release of obsessive thoughts and harmful, leading the practitioner to a psychic and emotional stability. This ancient technique has been handed down from master to disciple for centuries. Now, Tulku Lobsang has spread the knowledge to help maintain the health of all people. ▪ Weekly published on his YouTube channel, informative videos about Qigong, Taijiquan o Medicina Tradicional China. ▪ has worked in solidarity days to raise funds for research into rare diseases, as well as with the Multiple Sclerosis Foundation in Campania wet for Multiple Sclerosis. ▪ He has participated in competitions Health Qigong held in New York (USA), Jiuhuashan (China) and Porto (Portugal), obtaining in the first one 1st and 2nd place, in the second two 2th posts, and two third positions 1 s.
Protestant fesora de Chikung y te ra péutico In nitora Wudang Taichi, director of Qigong Canarias. -Taichi introduction to Professor Patricia Roberts. -It nstituto Qigong-Chikung de Barcelona con Nuria Le onelli. -Training in China Qigong Association Health in Beijing - China years 2010 and 2011 Chinese Health Qigong Association (Beijing) the official teachers of Qigong health. -Training in China Qigong Association Health in Brussels by the Chinese Health Qigong Association. classification Group: Qigong first ranked team gold Canarias. Competition Tuoshu Madrid 2015. Wudang equipment Spain. – Daoist priest representative of the 25th generation Taoist School Dragon Gate, discípulo del maestro Taoísta Tian Cheng Yang. – Re pre sentante en España del sistema de Chikung SpringForest. – Land in Tai Chi and Kung Fu Karate Federation Catalunya. – Traditional Chinese Medicine and Taoist. Cheng Yang Tian. – Acupuncturist by the School of paramedical techniques. – European Foundation of Chinese Medicine. – Spanish Association of Biochemistry Schussler. – Taoist Association of Catalonia, Spain and England. ▪ statutory member of the Association of Practitioners Lu Jong and Vice President of the Spanish Association of Medical Qigong. ▪ Sports Monitora: Inscribed in the official register of Professionals No sport Catalunya 001316. ▪ Referee International Health Qigong: certificado por la Chinese Health Qigong Association (China). ▪ Instructor de Qigong: certified by the Qigong Institute of Barcelona. ▪ Training A Zi Gong (Qigong for women): certified by the Qigong Institute of Barcelona. ▪ Formación en Nei Yang Gong (Medical Qigong): by Barcelona Institute of China Medical certificate. ▪ Yellow Belt Wushu: certified by the Royal Spanish Judo Federation. Yang style Taichi ▪ Monitor: Certified Therapists Training School Melqur. ▪ Instructor Taichi for Health Dr. Do: supported by Arthritis Foundation of Australia, Arthritis Core U.K. and adapted by the Arthritis Foundation of U.S.A. Lam and supported by Diabetes Australia. ▪ Specialization courses: Esgrima de Taichi Chuan, Taichi of 13 Maestro movements Mantack Chia and Taichi with fan. ▪ Instructor and teacher trainer international Lu Jong I: certificado por Nangten Menlang Buddisht Medical Organization, (Austria). ▪ International Instructor and teacher trainer Tog Chöd: certificado por Nangten Menlang Buddisht Medical Organization, (Austria). ▪Diploma of Facial Reflexology, issued by the School of Professional Massage & Therapies Alternatives Ali-Bey 25, Barcelona. ▪Diploma Tibetan Massage, Board Certified Medication Asian Sholung, Barcelona. First Grade ▪Diploma Japanese Usui Reiki Ryoho System, by Equilibrium Center, Institute of Yoga and natural therapies, Barcelona. Catalan Institute of Health and the Hospital del Valle Hebron Department of Occupational Health and Safety, Barcelona City Council Activa't program, City of Priego de Córdoba and Doña Mencía (Córdoba), Ubeda City Council (Jaén), Qigong Institute of Barcelona, Holmes Place, Virgen Active, Swimming Club Sant Andreu, Gimesport, Arsenal group, Sport and Health, Bonaesport, Can Felipa CEM, Pere Tarres Foundation and the Association of Residents of Camp de l'Arpa in Barcelona. ▪Con Taichi and Qigong experience for children in extracurricular activities and workshops in sports centers and primary schools, high school students in Barcelona as: Centro de Estudios Joan XXIII de Bellvitge in Barcelona. ▪Taller Technical Orientales in the days of healthy habits for workers in the area of ​​Occupational Health and Safety of the Catalan Institute of Health. ▪3ª classification (bronze medal) en la Third International Health Qigong Tournament and Exchange (Nanhui, China). 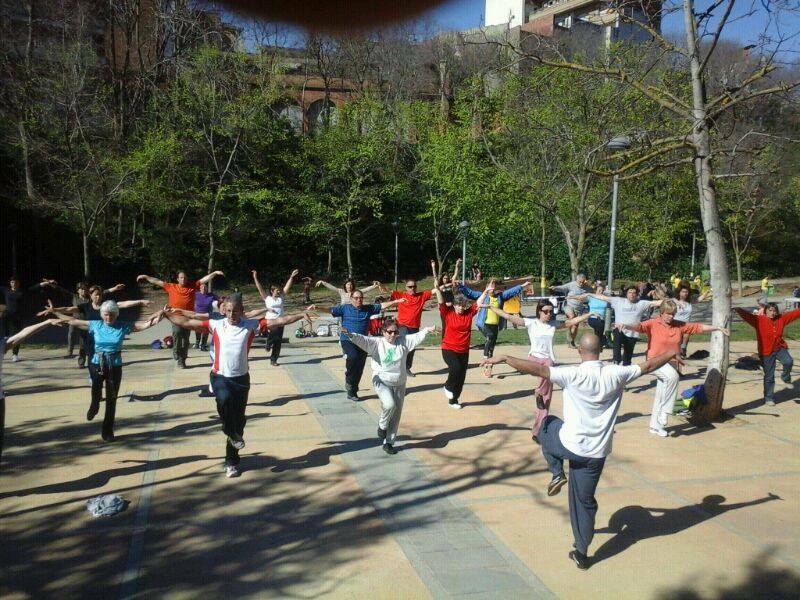 Taichi ▪Taller open in the days of health activities, promoted by the World Congress of Cardiology in Barcelona. ▪Artículos writings on Qigong for health, published on websites: learn taichi.com, Club Casa Asia, Revista Taichichuan. ▪2ª and 3rd ranking (Silver and bronze medals) en la 5th International Health Qigong Tournament and Exchange, (New York). ▪Ponencia on Qigong and Liu Zi Jue workshop (Six Healing Sounds) at the Second Congress of Qigong Andalucía held at the College of Physicians of Malaga. ▪Talleres open and Lu Jong Qigong at the Fair of Bio Natura Armilla, Granada. ▪Talleres open and Lu Jong Qigong in the Fourth Conference of Alternative Therapies in Ubeda, Jaén. Introduction to Qigong open ▪Taller aimed at relatives of Alzheimer patients through the association ALFUSAL, Priego de Córdoba. ▪Taller Qigong for women on the international day against violence on women in cooperation with the City of Doña Mencía, Córdoba. ▪Taller / conference for the World Day of Women's Health in collaboration with the municipal information center woman Priego de Córdoba. ▪Participación in Natur Fest II, Baeza, Jaén. ▪Participación in representing Spain in the opening ceremony of the 6th congress and Health Qigong Championships in Porto, Portugal. ▪Participación in seventh heaven Connection program, BTV Cataluña: Jong, Tibetan Yoga. ▪Participación in the program A to point 2, RTVE: eastern techniques, Qigong. ▪Entrevista radio for radio Onda Mencia, Doña Mencia, Córdoba. 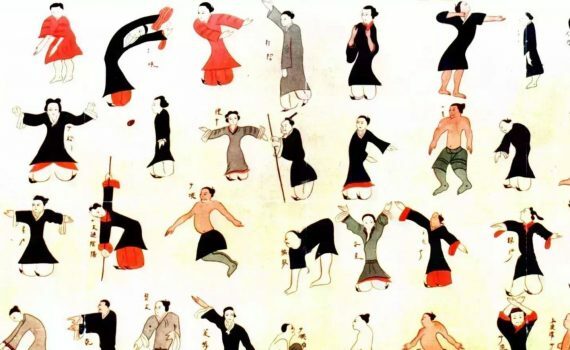 The Five Animals Qigong It is an ancient Taoists series of exercises that aim to improve the health of people who practice, in order to achieve longevity. These five exercises are based on the movements of five animals, each of which is aimed at improving the functions of an organ. The Dragon works on the Kidneys; the Tiger It does LUNG; the Leopard on the liver; the Snake on the Spleen; and Crane on the Heart. 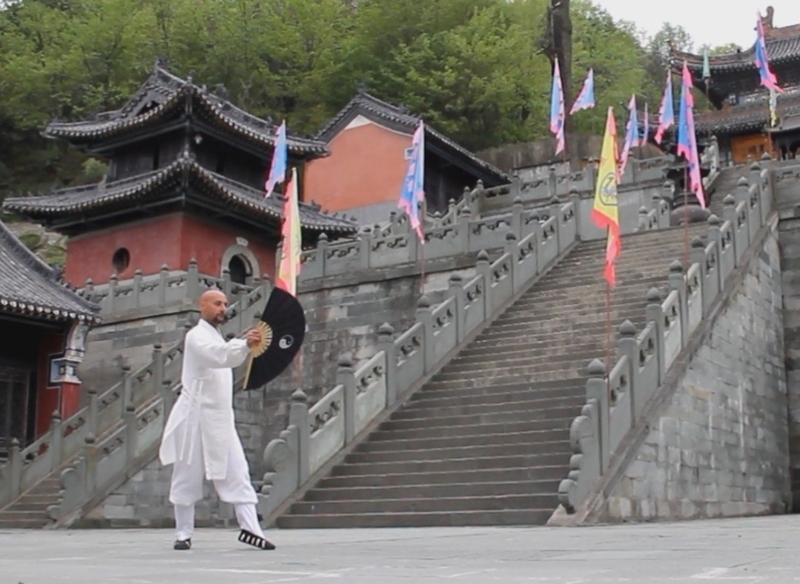 Through the practice of Wudang Wuxing Qigong, In addition to the benefits already mentioned, is achieved to flexibilizad joints, lengthen the tendons, strengthen the muscles, improve respiratory and cardiovascular system, inter alia. To practice Wudang Wuxing Qigong It is to reverse the aging process of the body, having him healthy and strong despite the passing years. 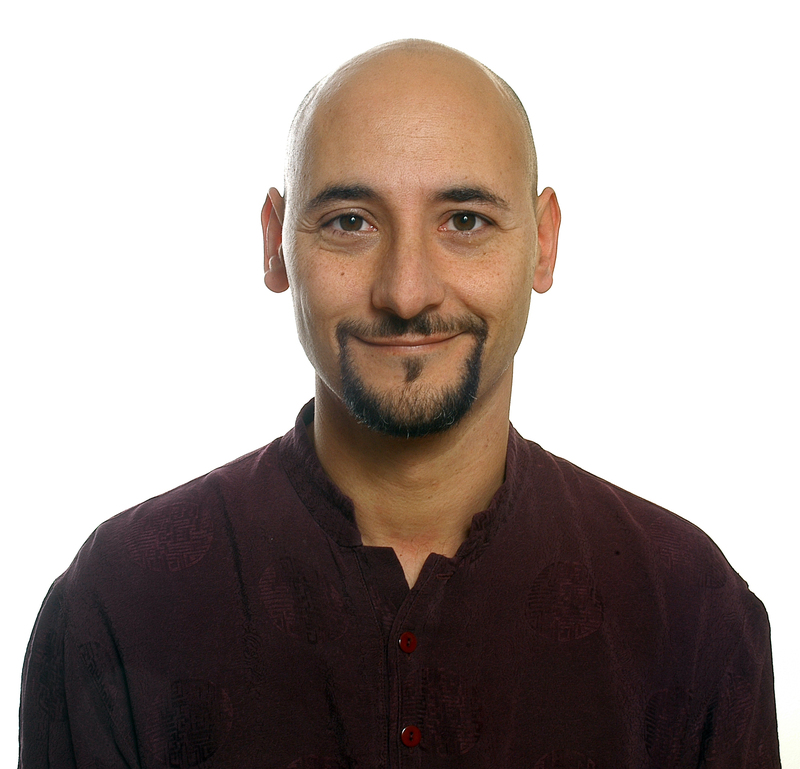 These classes will be led by Iván Trujillo, Qigong teacher Internal Alchemy. All participants of this course, they will hand over a dossier of notes, explanation of exercises practiced. Sin ningún compromiso, you can attend a trial lesson totally free.